It's rare for meteorites falling to Earth to remain intact—only five to ten make it each year—but the ones that do could contain the secrets of the universe or, even better, clues about the origins of life. 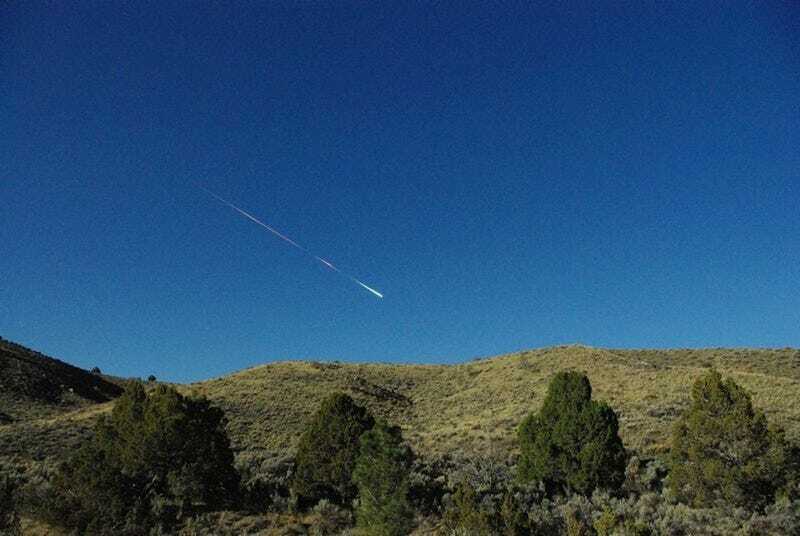 And it looks like the meteorite that lit up the California sky last year did just that. A team of scientists explain in a newly published study that the compounds found in the Sutter's Mill meteorite from April 2012 contain organic compounds never before seen in these kinds of space rocks. Specifically, scientists are interested in oxygen- and sulfer-containing organic molecules that are the building blocks of life. Meteorites have long been a focus for those trying to track down the origins of life, so the discovery of new molecules hitting Earth's surface offer some exciting clues about the primordial soup from which life emerged. However, the researchers tried dissolving the fragments in conditions mimicking hydrothermal vents on Earth, the environment often seen in the early Earth that life might have arisen within. Upon such treatment, the rocks released organic molecules not previously detected in similar meteorites. The findings that suggest there are far more organic materials available via meteorite for planetary environments than scientists assumed.